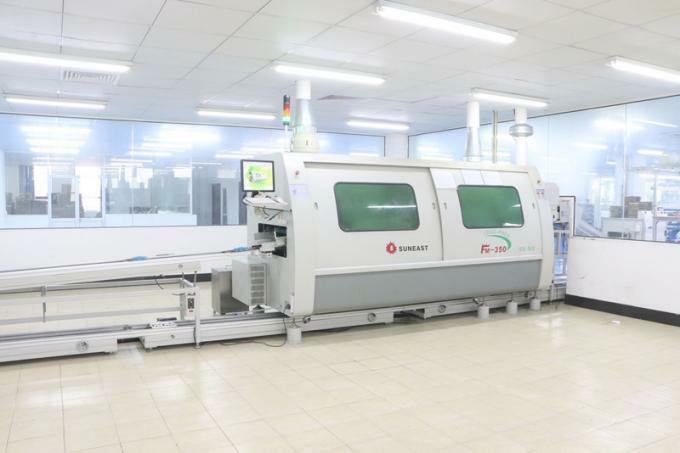 Where the PCB are populated with SMD components and processed through reflow oven to ensure satisfactory population. Here the SMT stands for Surface Mounting Technology, it's widely adopted technology in electronic products. Right after the procedure of SMT, through hole components are installed and then processed during wave crest soldering. 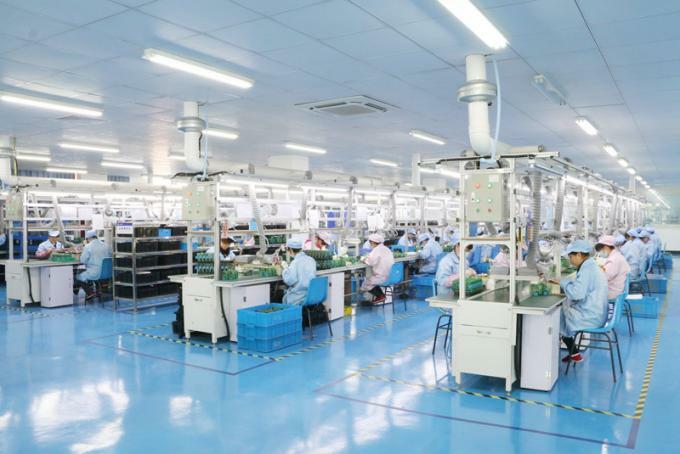 This this procedure, components like battery, LCD, backlight, would be manually soldered due to their fragile immunity to high temperature in reflow oven or wave crest soldering. 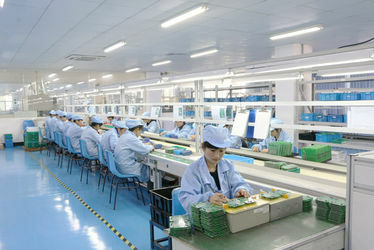 Manual sodering request highly skilled soldering skills. 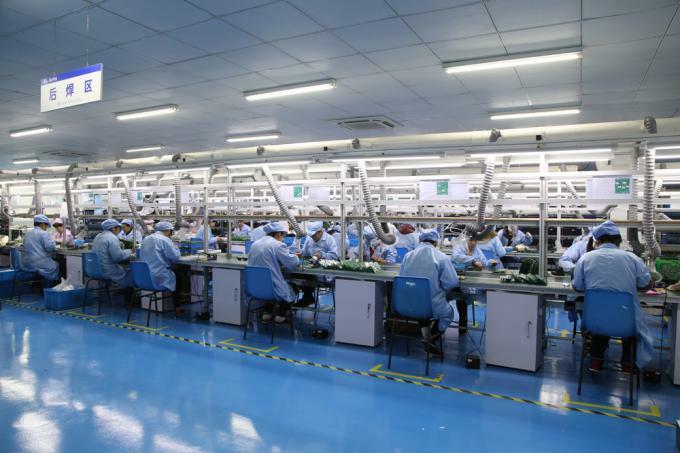 After the PCBA are properly soldered, they would be placed in high temperature room for aging for several hours. 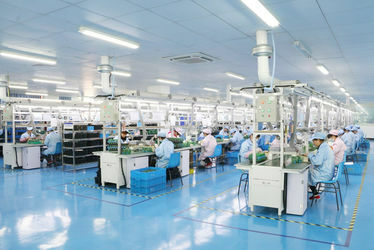 After the PCBA was fully populated and soldered, it would be conducted FCT & ICT to verify the circuitry are performing properly as expected, qualified PCBAs will be transferred to assembly process, during which the PCBA would be assembled with meter base, terminal block, wires, and other parts, etc. With the modern technology in computer science, meters are widely calibrated by means of software calibration, which is automatically carried out on the test bench with reference meter. 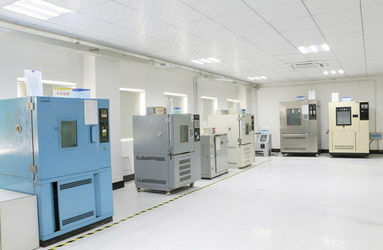 After the meter was calibrated, it would go through other procedures like high temperature aging and ambient temperature aging, and after all the tests, which are meant to simulate the real operating scenarios and make sure metering products are functioning properly, meters would be re-checked the accuracy, or call it accuracy verification. 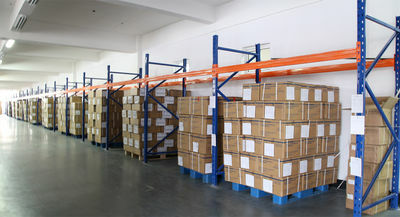 If they are tested okay, they would be packed and forwarded to warehouse, ready for delivery. 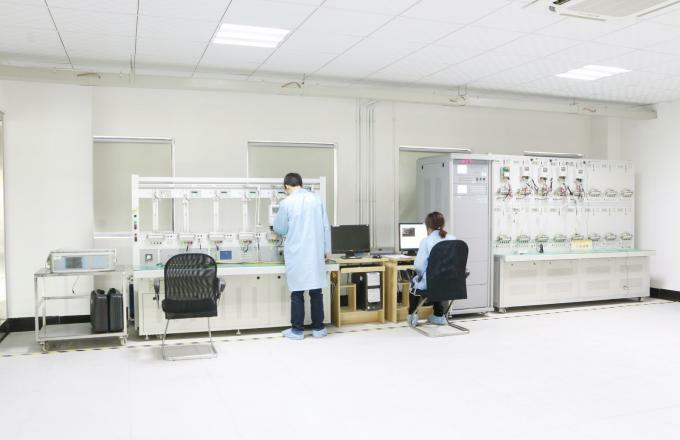 One well equiped test center have been supporting these divisions during the R&D process, type test of single phase meters and three phase meters could be conducted and issued test report accordingly. 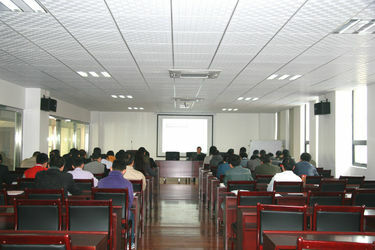 EMC test lab is qualified to conduct tests set forth in the IEC standards. 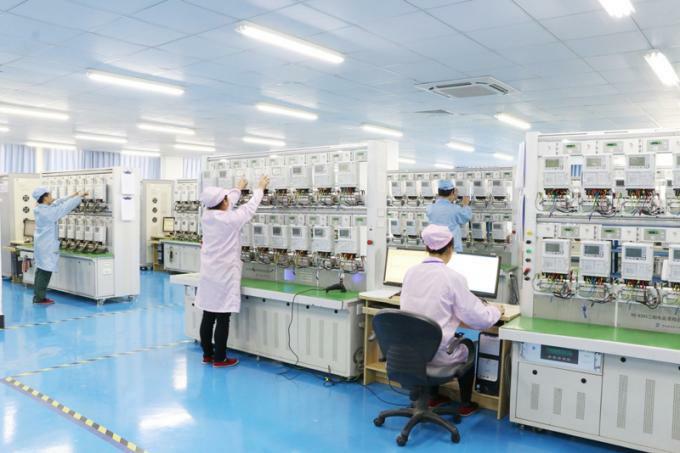 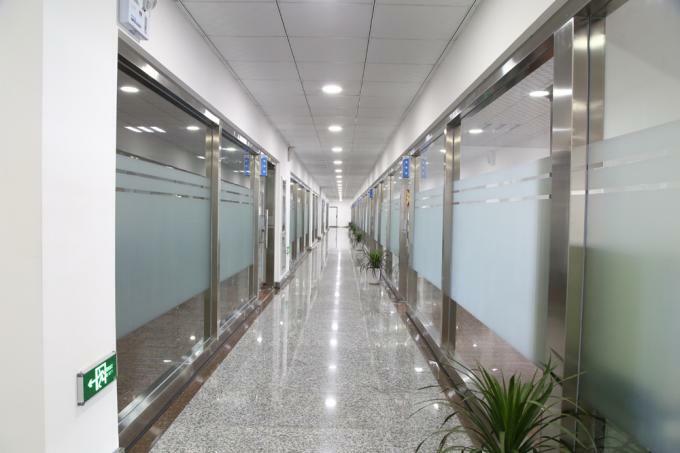 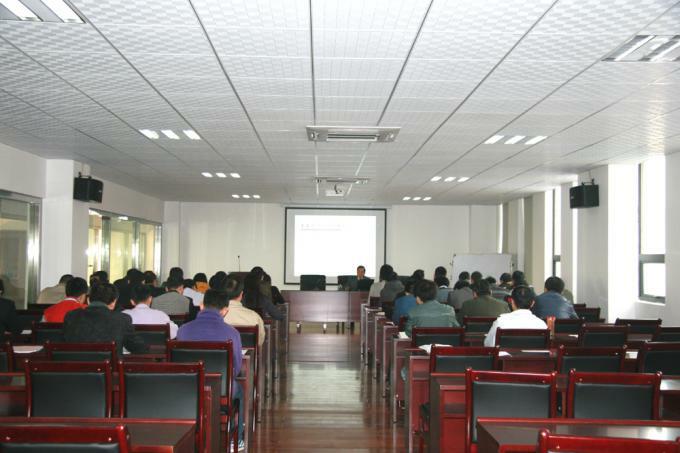 There are totally 3 divisions in Research & Development Department, they are individually responsible for energy meters, smart systems and communications, overseas market products development, Testing Center, etc. 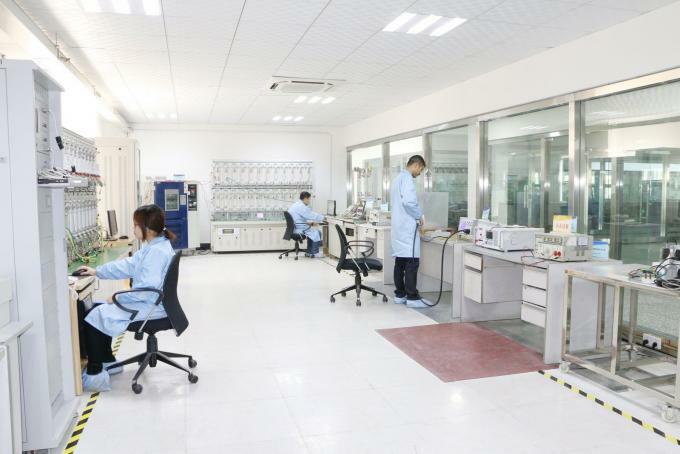 Environment test lab covers all type of tests including Dry heat test, Cold test, Damp heat cyclic test, Solar radiation test, etc., etc. 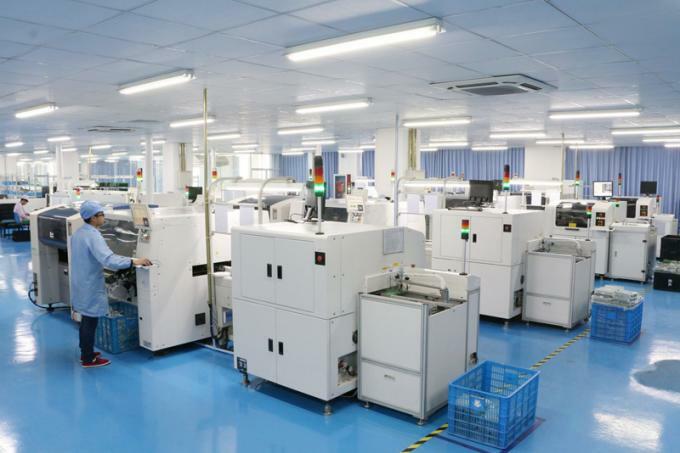 This this procedure, components like battery, LCD, backlight, would be manually soldered due to their fragile immunity to high temperature in reflow oven or wave crest soldering. Manual sodering request highly skilled soldering skills. 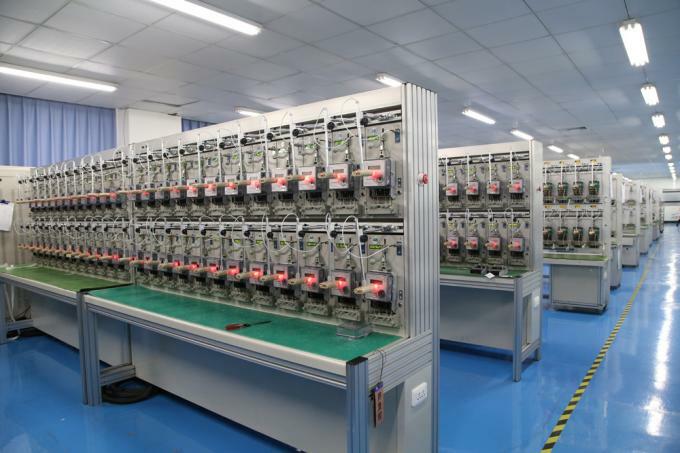 After the PCBA are properly soldered, they would be placed in high temperature room for aging for several hours. 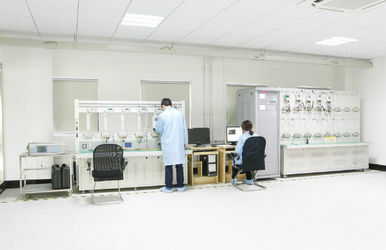 Accuracy is the core of metering product, and it directly involves money in revenue applications. 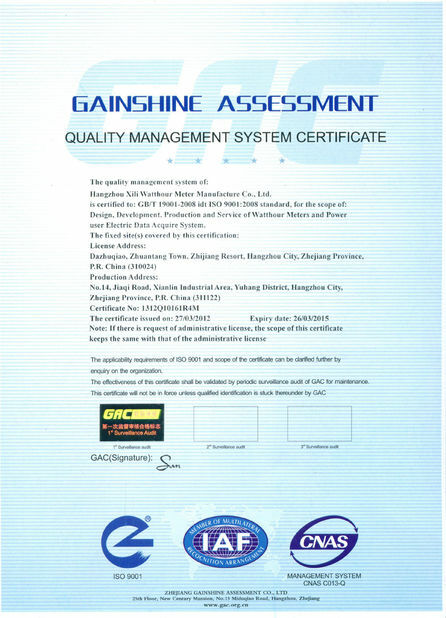 With the modern technology in computer science, meters are widely calibrated by means of software calibration which is automatically carried out on the test bench with reference meter. 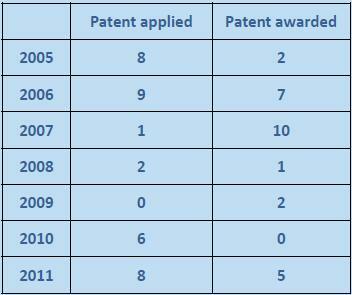 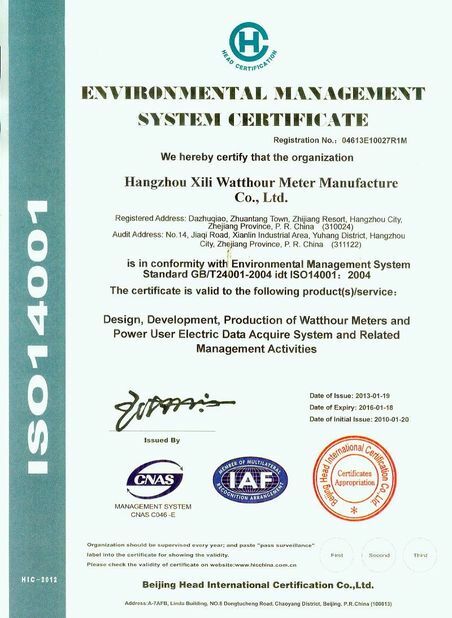 XILI Metering has been investing 5% of the annual turnover on Research & Development, and own 100% IP rights of its full product range.